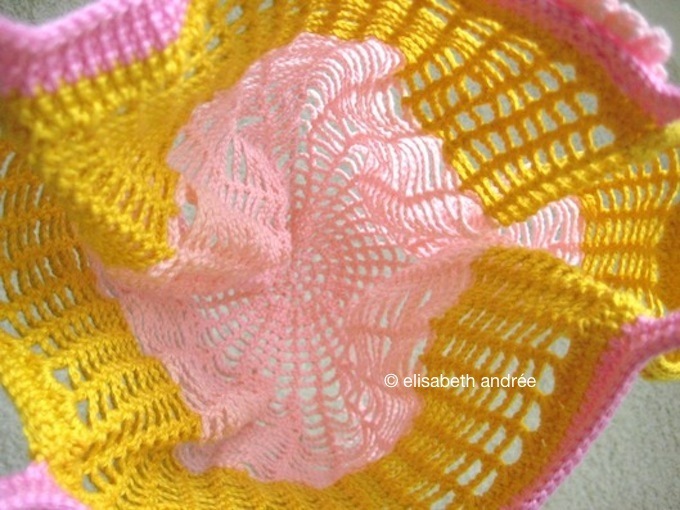 below are my notes, it is not a detailed pattern, but i hope it’s sufficient to crochet your own small mesh shopper. 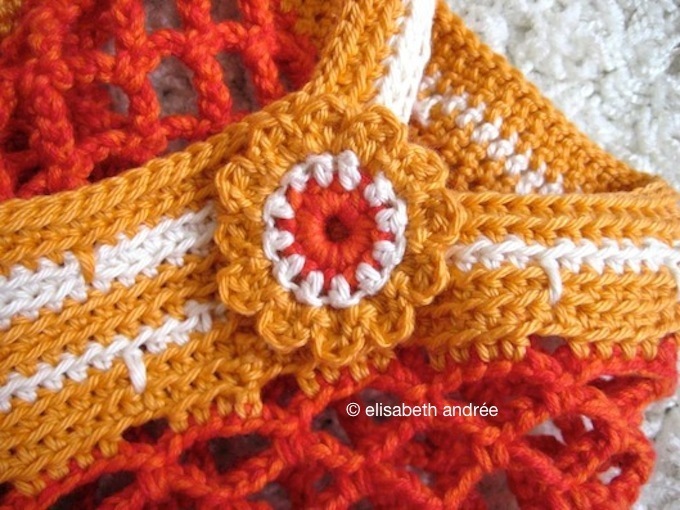 would you prefer a comprehensive crochet tutorial, you can take a look here: how to make a mesh bag. scheepjes stone washed XL, for the body green agate and blue apatite, for the top and handles smokey quartz, 1 ball of each color. more info about the yarn here. i worked with crochet hook 4 mm. the height of the body of my bag is about 27 cm. row 9 and further. repeat row 8 until your bag has the height you like to have. note: better don’t make the body to large because it really stretches (see photo below). the top part of my bag measures about 5.5 cm. row 4 and further. repeat row 3 until you like the height of the top part. the handles of my bag are circa 26 cm long and are located about 5-6 cm from the sides, there is about 17-18 cm between start and end points of the handles. hold or lay bag flat and measure where you like to have your handles, the ‘scar’ (that is where you start and end the rows) will be at the side. 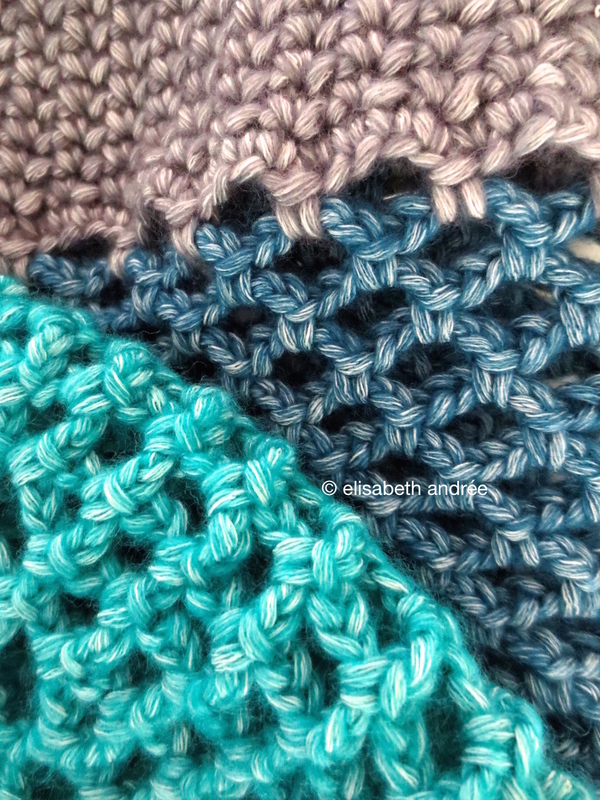 row 3. make 1 ss into all the sc, skip all the 1 ch spaces, work loosely, the slip stitches look large! attach yarn at left beginning point of one handle and make 1 ss into each of the chains until you reach the end of the handle, continue working at the top part of the body between starting and ending points of the handle, make 1 ss into all subsequent sc, skip all the 1 ch spaces, work loosely, ss into first ss. 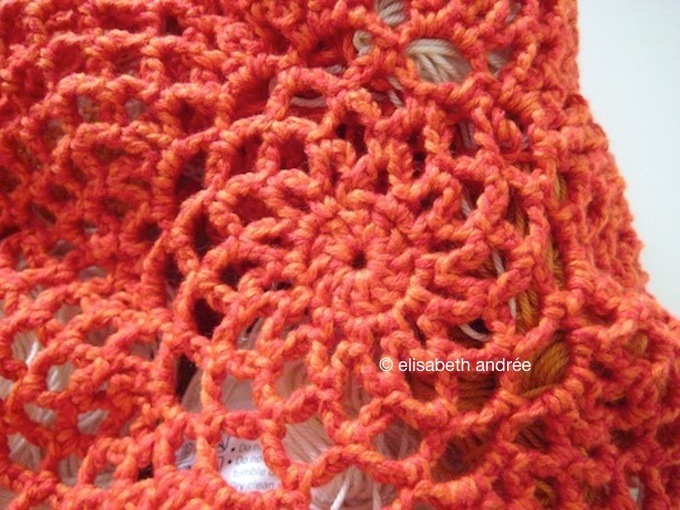 weave in yarn ends. make the second handle in the same way. make a small band/strap that fits around the top part of the bag to hang a keyring onto (or something else). 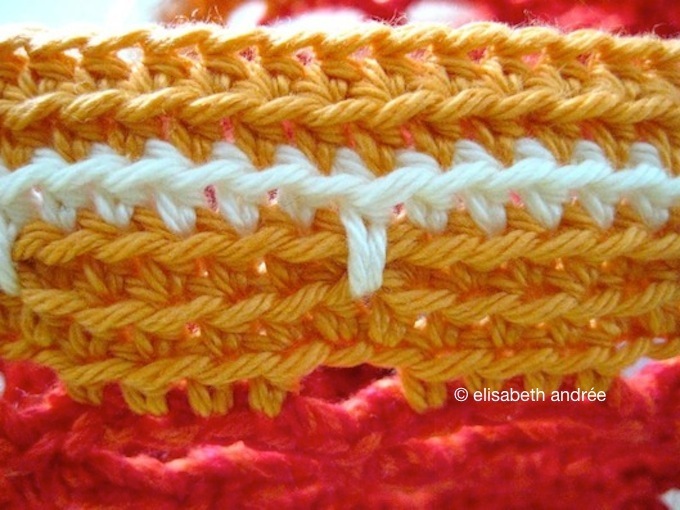 crochet chains to required length, turn, 1 ss into second ch from hook and into all subsequent chains, turn and work on the other side of the chains, 1 ch, 1 ss into first ch and into all subsequent ch until end of row, cut yarn, hang keyring onto band, fold band around the top of the bag and sew ends of band together. hope you like to use your little mesh bag very often! 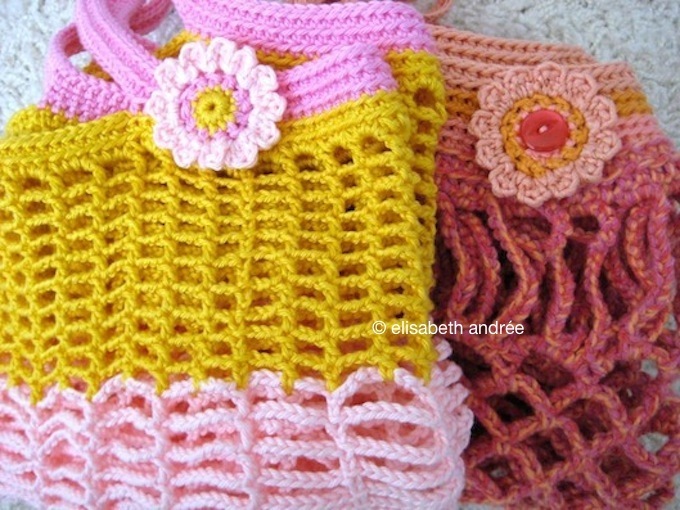 Categories: crochet, tutorial | Tags: crochet bag, mesh, mesh bag, shopper, tutorial | Permalink. 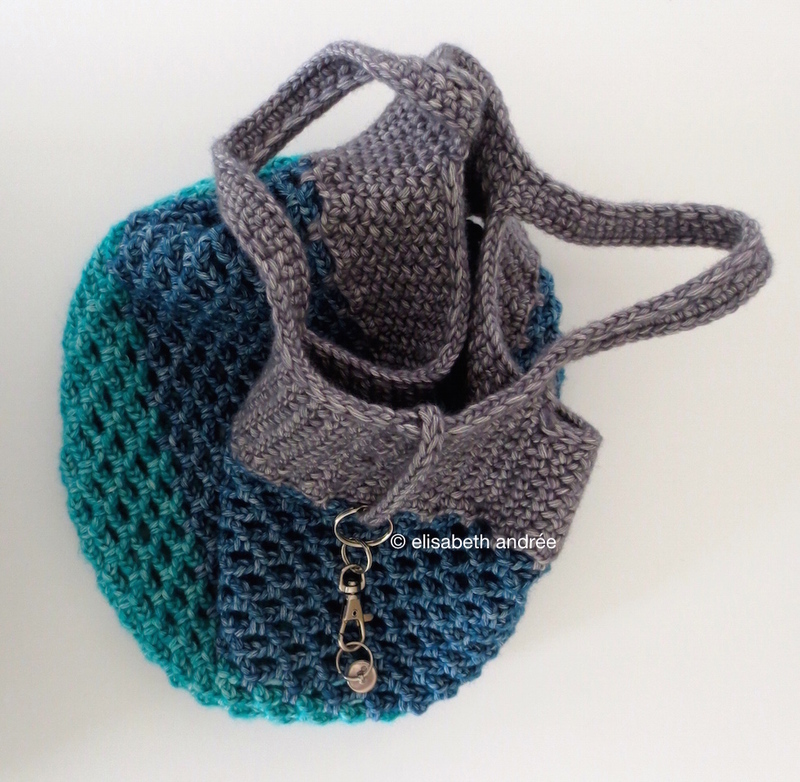 how can i crochet a mesh bag myself? i received this question a couple of times in response to the week of mesh bags. i promised to write down a how to for a basic mesh bag with which you can make your own variations. row 1. 3 ch (= first dc and 1 ch), *1 dc, 1 ch*, repeat between * * until you have 11 dc and 11 ch (= total of 12), ss to 2nd ch addition: this row forms the basis for you bag, but you can make this basis as large as you like. 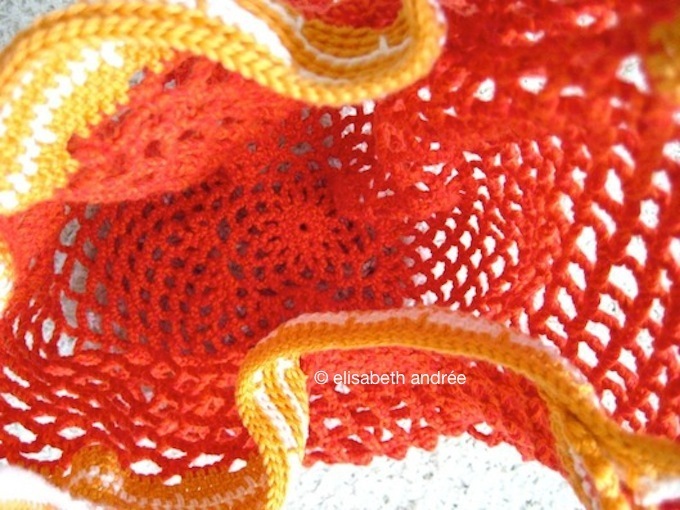 you can use any round pattern small or large and then start with the mesh pattern. 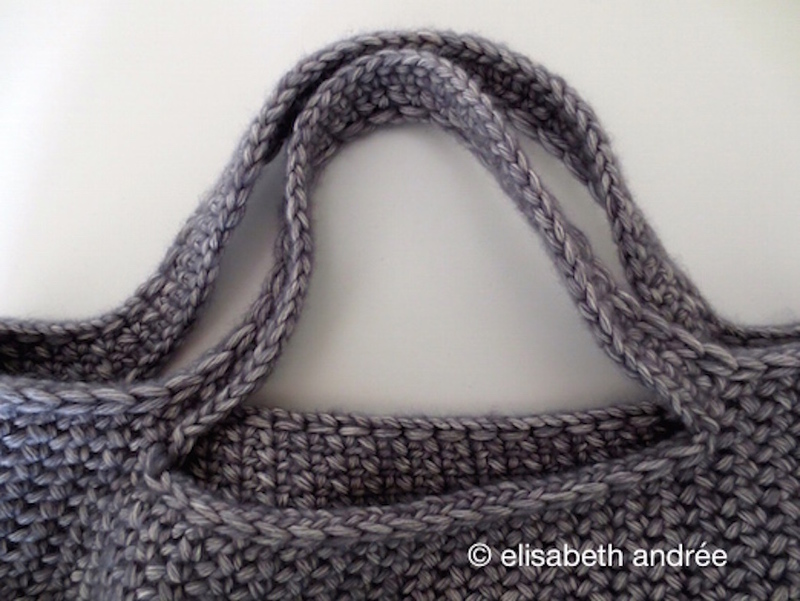 a larger round basis creates a rounder shaped bag. the pattern you are reading now creates a little more narrow shape. 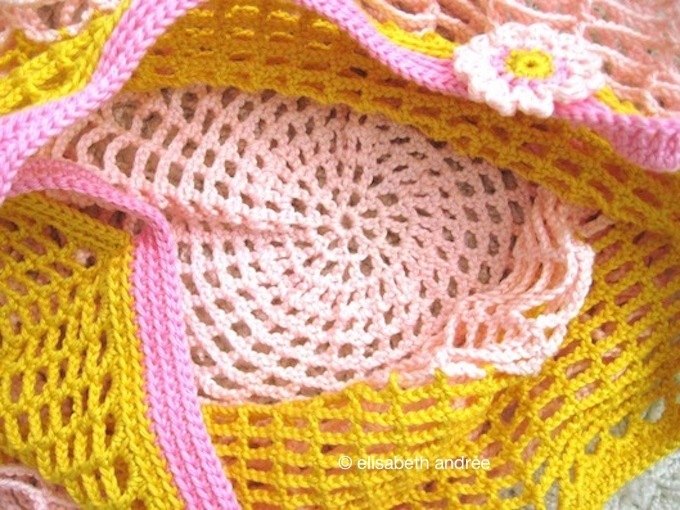 continue crocheting row 7 until the body of your bag has the size you want. measure the width of the top edge of your bag and decide where you would like to have the handles, my handles begin en end 9 cm from each side. your bag is now ready for use! 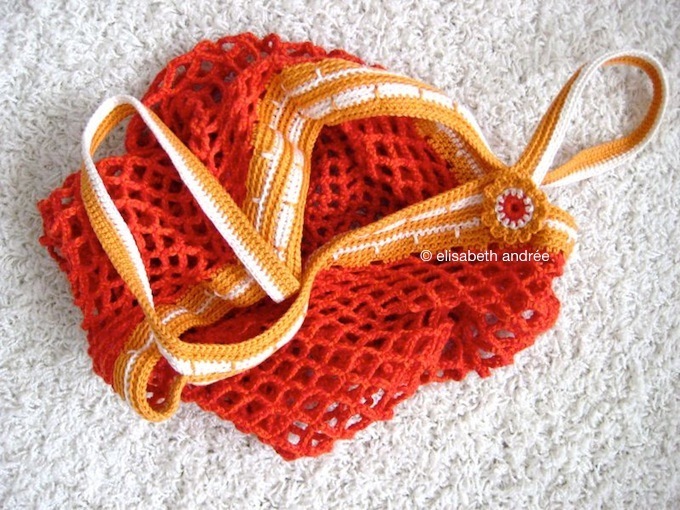 Categories: crochet, tutorial | Tags: bag, mesh, mesh bag, tutorial | Permalink. this bag is smaller than the others mesh bags and I have crocheted it in a different way, therefore it is less stretchy. for me this is an unusual color combination but i was happy with it so i continued. 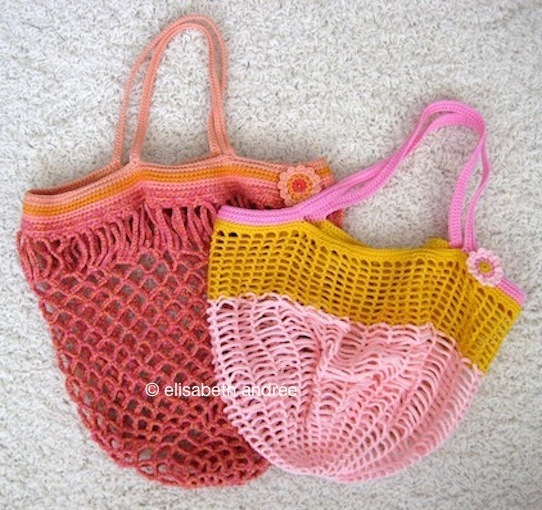 it is the last day of this week of mesh bags. i hope you’ve enjoyed it!? 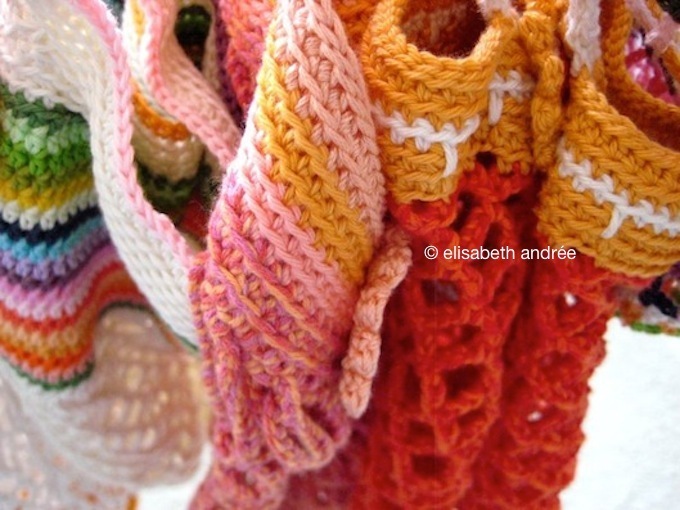 Categories: crochet, inspiration | Tags: bag, mesh, mesh bag | Permalink. just punto color and catania again, with hook sizes 3 and 3,5 mm. tomorrow it is already the last day of this week of mesh bags. hope you will visiting my blog again! 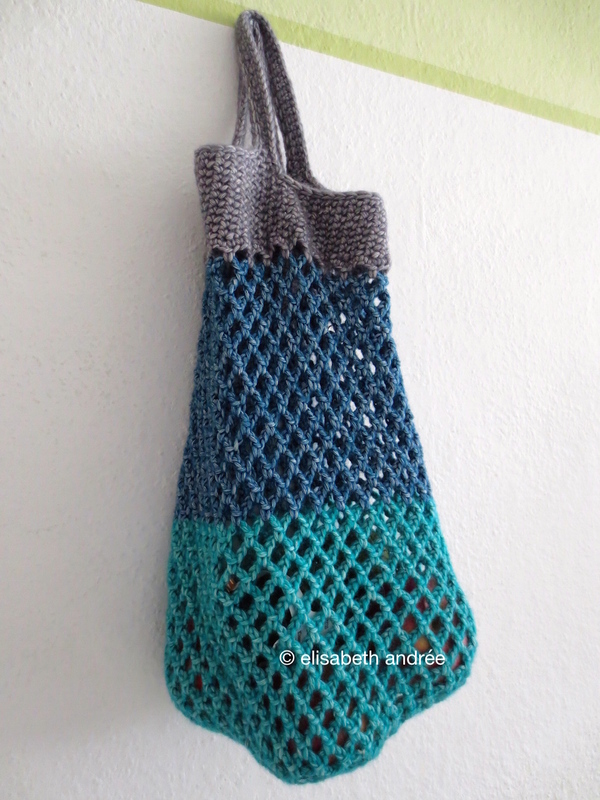 this bag i made from only catania yarn. 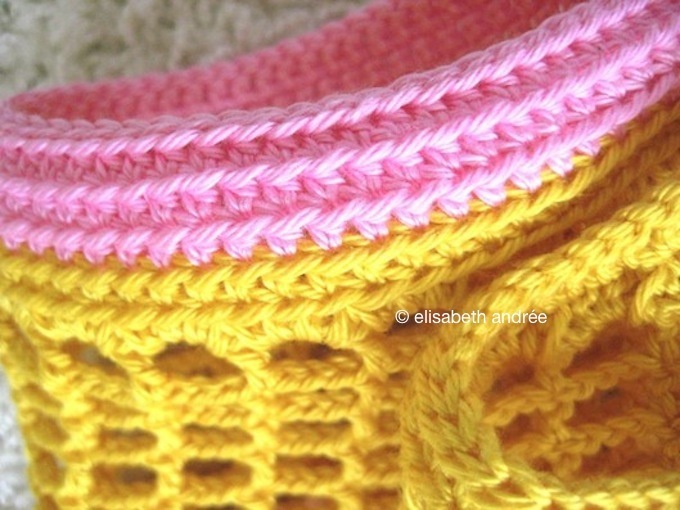 ecru is the base color while i used a rainbow of colors for the stripes. 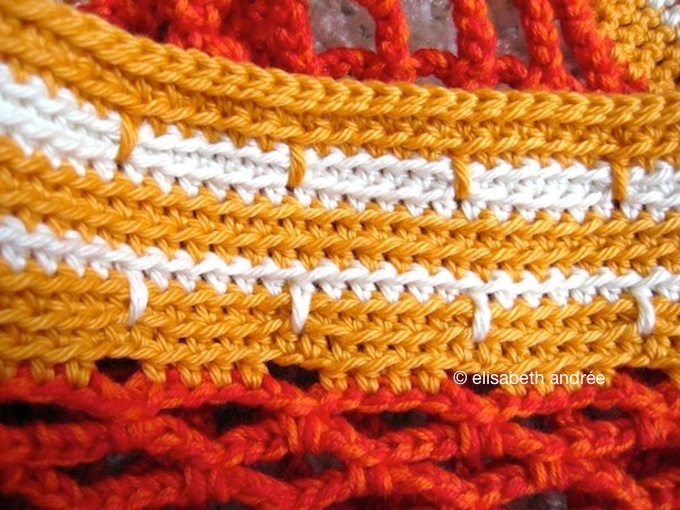 tomorrow mesh bag number four, here on my blog.